In-Phase's team of fully qualified electricians have been carrying out industrial and commercial electrical work since 1991. Our team of fully qualified electricians can advise on anything from electrical installations for new premises to existing site upgrades. Our extensive experience in the commercial and industrial sector helps our customers ensure that their sites are compliant according to the latest regulations. We can also assist with the regular maintenance, support and running of your site to ensure you are always in line with health & safety and fire safety requirements. Our maintenance schedules aim to reduce instances of failure in your electrical systems, ensuring that your building is running at optimum levels of safety and output. 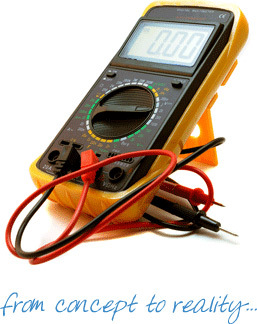 Why use In-Phase Electrical Services? Pleasure working with In-Phase Electrical Services, an electrical contractors firm that has proved to consistently provide a reliable, professional, and high quality service to our customers, this has complimented the building services we offer to enable us to deliver a complete building service to a high specification.